With nearly unlimited choices, how can you choose which frame fits your style and wardrobe, and feels as good as it looks? 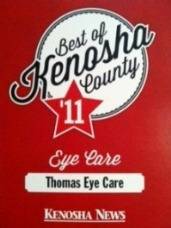 Thomas Eye Care 2305 30th Ave, Kenosha, 53144, WI,. Phone: (262) 597-2020. http://www.thomaseyecare.net/.